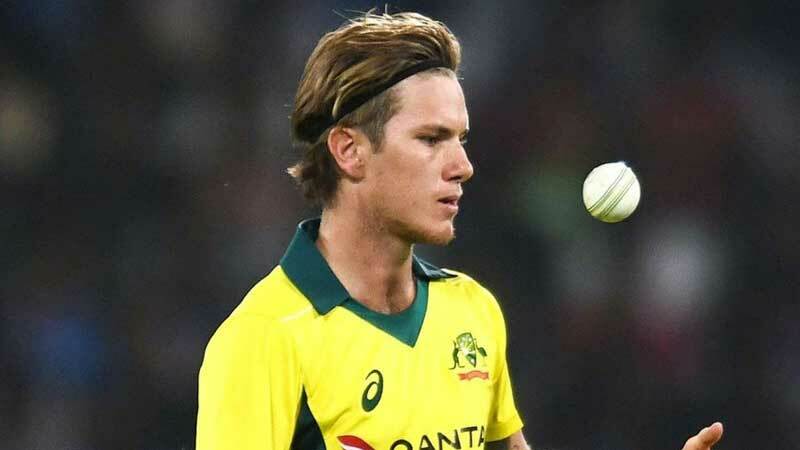 The clamour in Australia to include Adam Zampa in the Cricket World Cup squad has reached fever pitch after his strong series in India but the leg-spinner feels his place is far from assured. The 26-year-old from Shellharbour, New South Wales, played a key role in the 3-2 series comeback victory over Virat Kohli’s side, taking 11 wickets at an average of 25.81 to outduel India’s spinners on their own pitches and claim second on the wicket-taking list behind seamer Pat Cummins. He added: “(I’m) just trying to make the most of my position at the moment … I guess taking it one series at a time – it’s a bit of a cliché, but that’s how it is.” Australia won the 2015 World Cup on home soil without a specialist slow bowler but wrist-spinners have become a must-have in 50-over cricket and occupy half of the top-10 bowlers in the ICC world rankings for the format. Zampa, who relies less on sharp turn and drift and more on attacking the stumps with deliveries that skid off the pitch, bowled well in tandem with off-spinner Nathan Lyon in India. The pair are expected to continue their dual spin assault against Pakistan in the five matches in the United Arab Emirates. The first match starts on Friday in Sharjah. “We can’t bury our heads in the sand and just say we’re going with fast bowlers when spinners in world cricket, and in one-day cricket in particular, are being very, very successful,” selector Trevor Hohns said earlier this week.